Universal Learning Platform saves time and money. Instant secure access from any web-enabled smartphone. 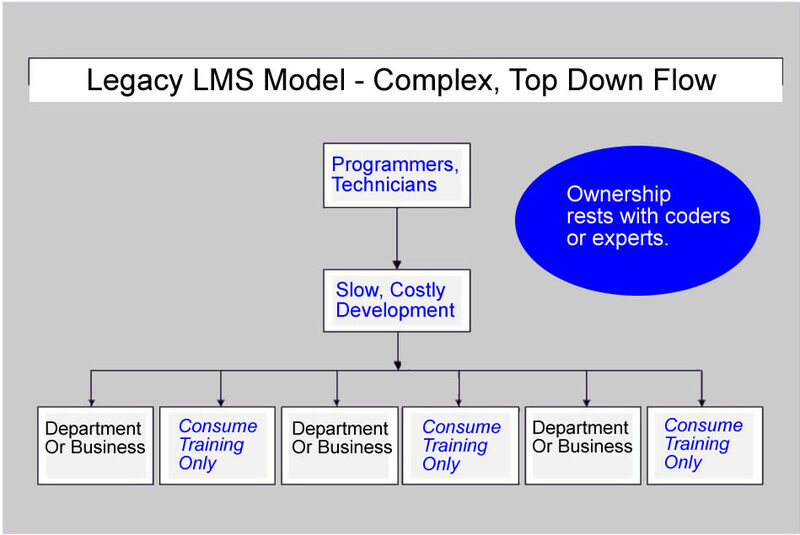 The traditional LMS was slow, rigid and centralized. Our Universal Learning Platform empowers your users. You need to bring your mission-critical training online. But complicated procedures and programs are making life difficult. Simplify your work by adopting our universal framework. Get up and running quickly and cost-effectively. Or let FlexTraining handle everything for you. A quick demo is available here. Get some hands-on experience here. Operated by experts and technicial specialists. Operated by non-technical staff or by us at FlexTraining. Owned by IT department or consultants. Owned by any group or department, or scaled to serve the enterprise. Authoring, delivery, tracking done on seperate tools or "silos". All-in-one integrated platform from end to end. 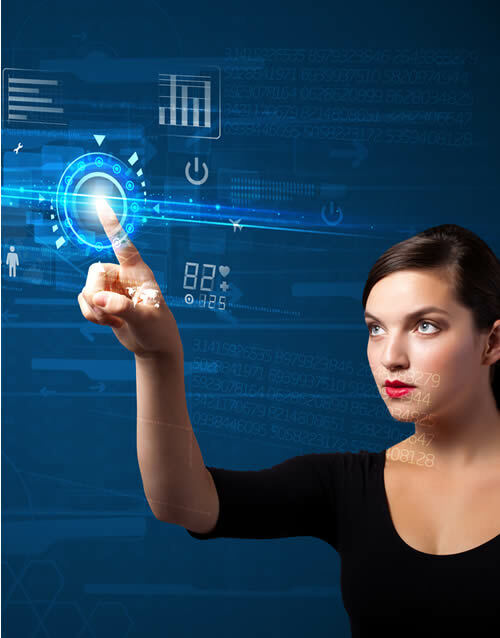 Modify policies and behavior by programming or complex configuration. Set options and workflow in a few minutes. Build courses by starting from scratch with complex, unfamiliar software. Use One-Minute Wizards to generate lessons from existing materials such as PowerPoint. Run long reports and distribute to management to monitor progress. Track activity on Dashboard app, run reports as needed. Load up your staff with Instructional Designers and LMS specialists. We'll handle partial or complete course development so you can focus on your business. Extra courses, extra authors, or extra managers mean extra fees. All these are free - we encourage you to grow. Tech support from overseas "support shops" and inexperienced agents. Dependable framework with support from FlexTraining developers. Operating the system is often tricky and frustrating. Fun to use, which supports creativity. Love what you do! How FlexTraining is replacing the legacy LMS with bold innovations and flexibility. 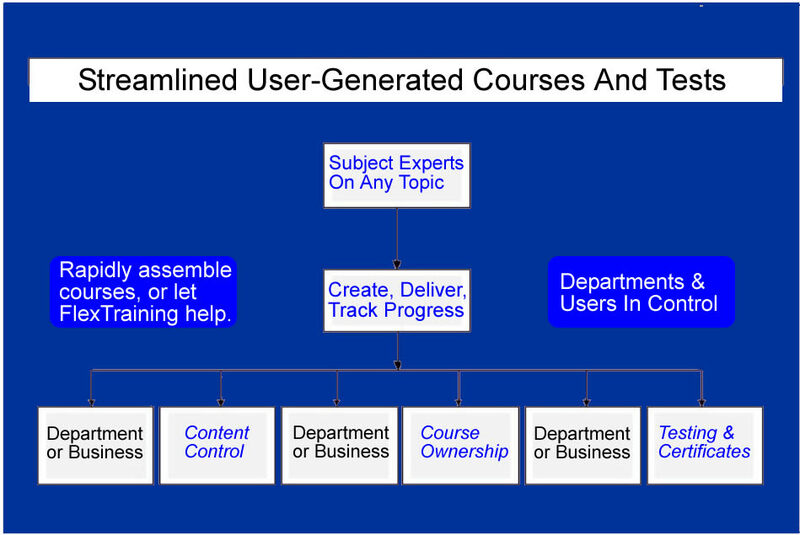 A complete training ecosystem for creating and testing courses, with high priority support. "FlexTraining has set the standards for the industry; all others fall short of its quality and appearance." " Our training was up and running right away. FlexTraining really hit it out of the park!" 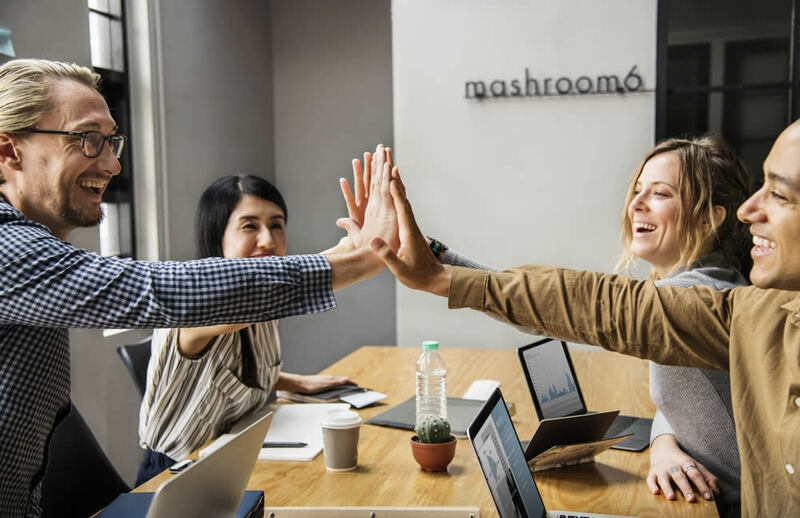 " We had no idea that, by choosing FlexTraining, we would be getting both an outstanding application and the support of a dynamic team. It is obvious that they not only believe in their product but also take pride in the success of their consumers." The What, How and Why you will want to know more about. Just how easy is it to create online courses? What are the different ways of using FlexTraining? Converting PowerPoints, content strategies, common mistakes trainers make, and other info. How can we work togther to meet your goals? Is E-learning headed to your phone?